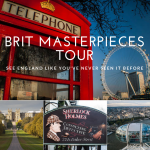 to Adventure ~ Brit Masterpieces Tour! Calling all PBS fans and Anglophiles! 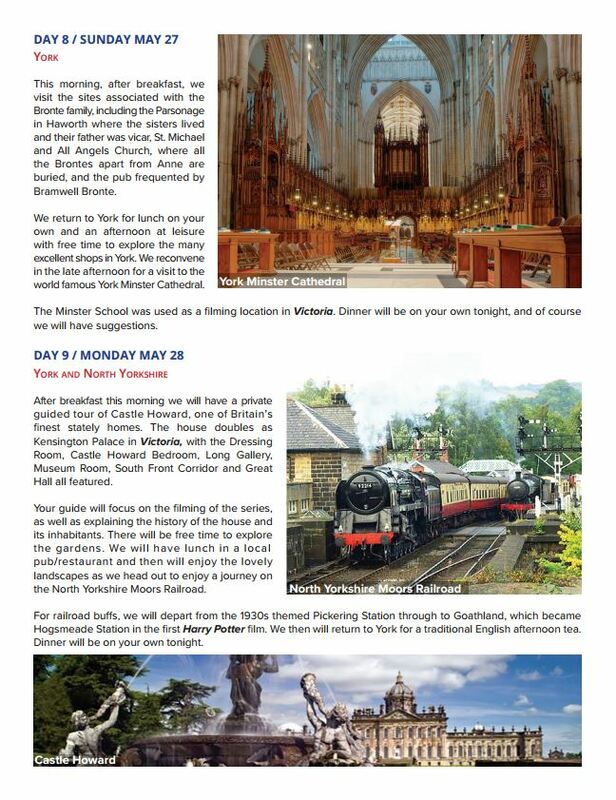 Join WGCU and Debonair for a 15-day unique expedition to see some of the British locations where your favorite PBS, BBC, Masterpiece programs (and more) are filmed. 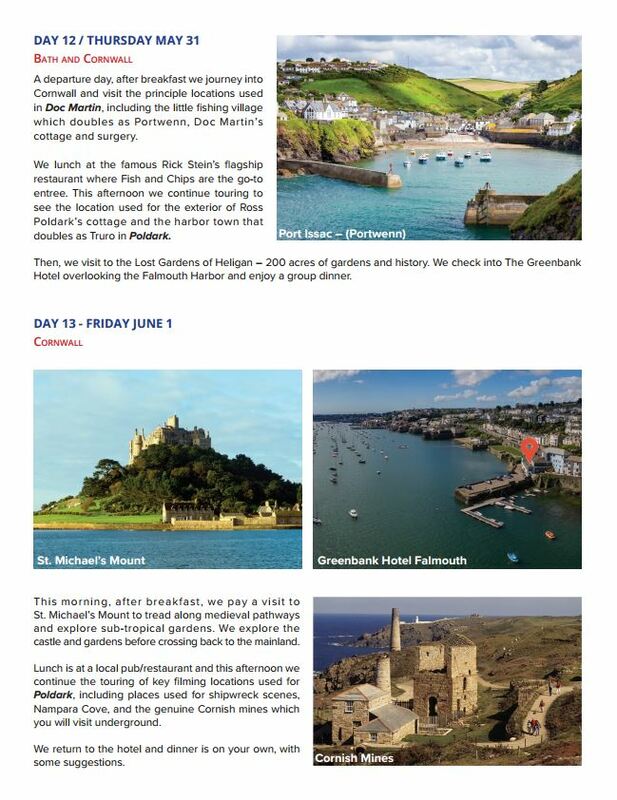 Bucket list-worthy locales include the real “Downton Abbey,” Cornwall sites as seen in “Doc Martin” and “Poldark,” and the “Sherlock Holmes” pub! 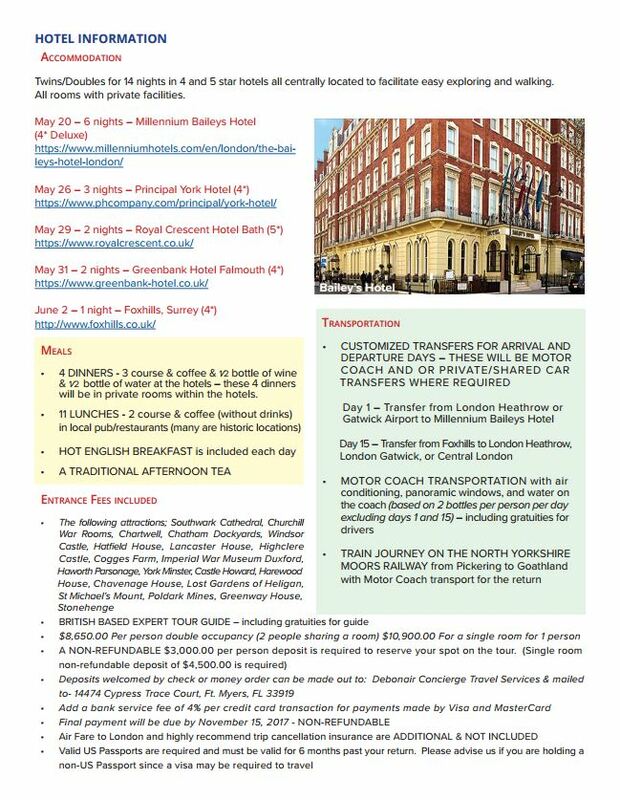 This customized itinerary is first come, first served. 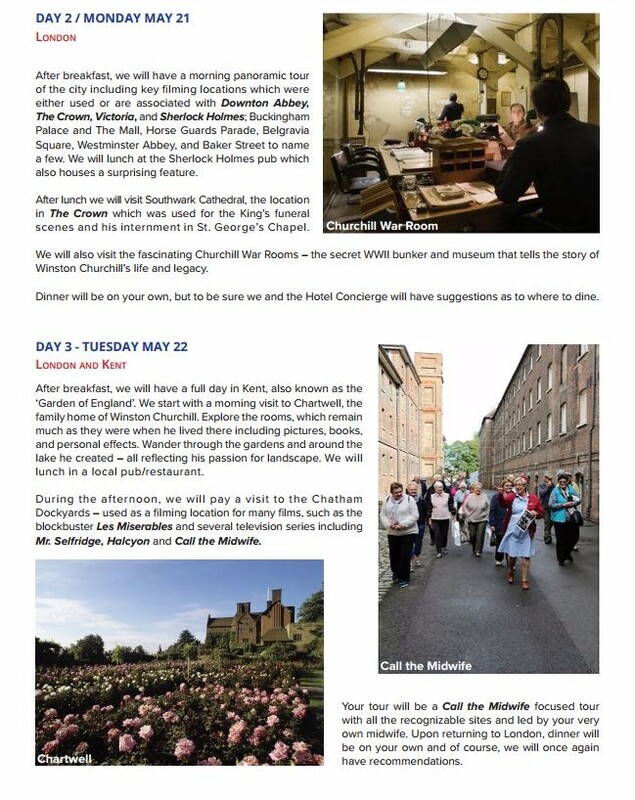 Our Exclusive Brit Masterpieces Tour is a once in a lifetime trip to the U.K. in May 2018 with a private “Downton Abbey” Tour and “Call the Midwife” Tour with your own Midwife and much more. 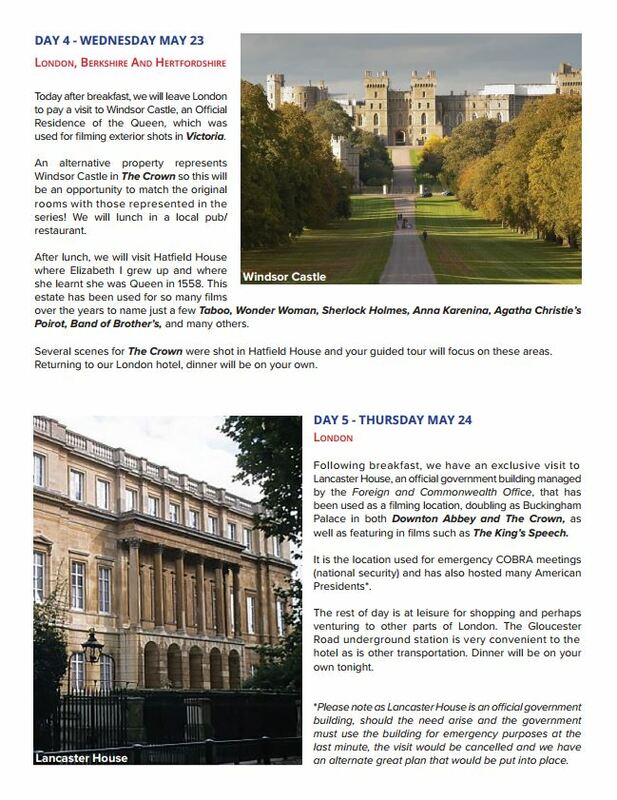 (Full itinerary is below.) 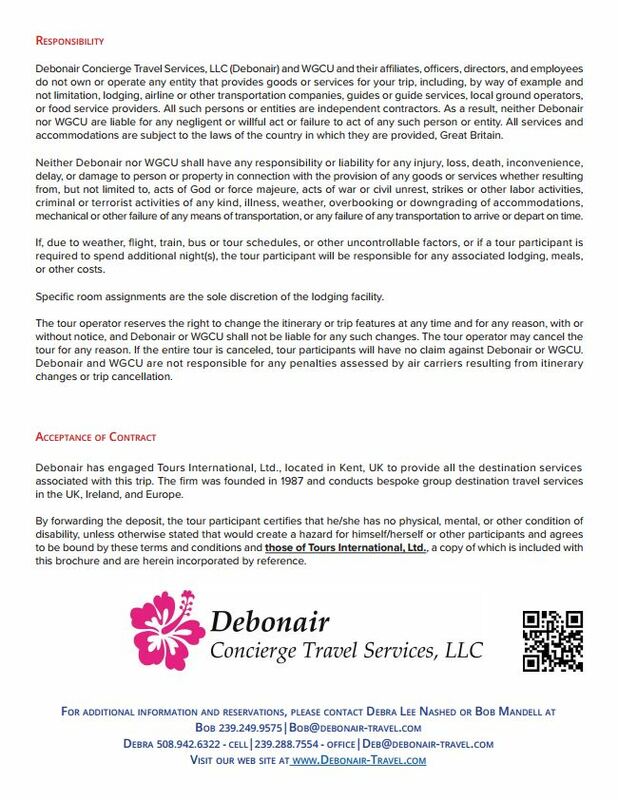 Seating for this trip has limited availability so rsvp to Deb@Debonair-Travel.com or call Deb at 239-288-7554 asap! 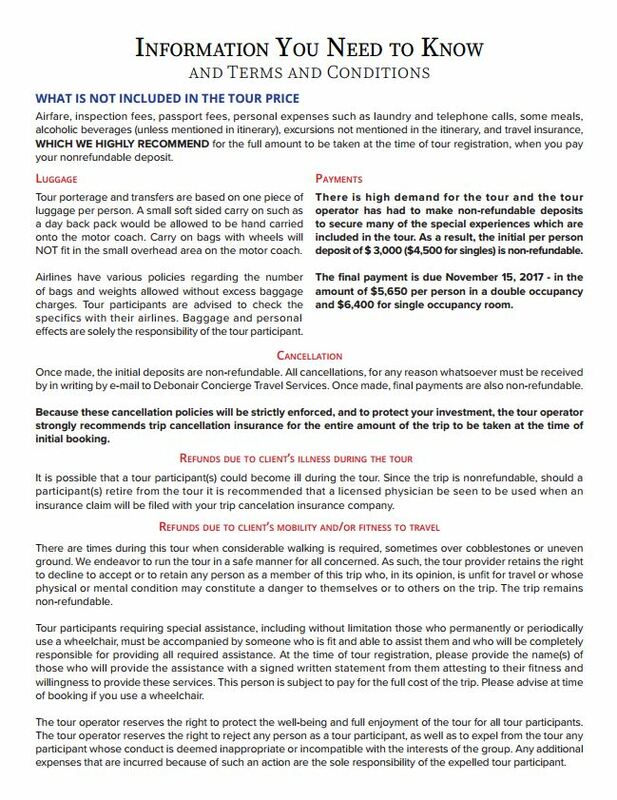 Please see the full itinerary below for this customized experience. 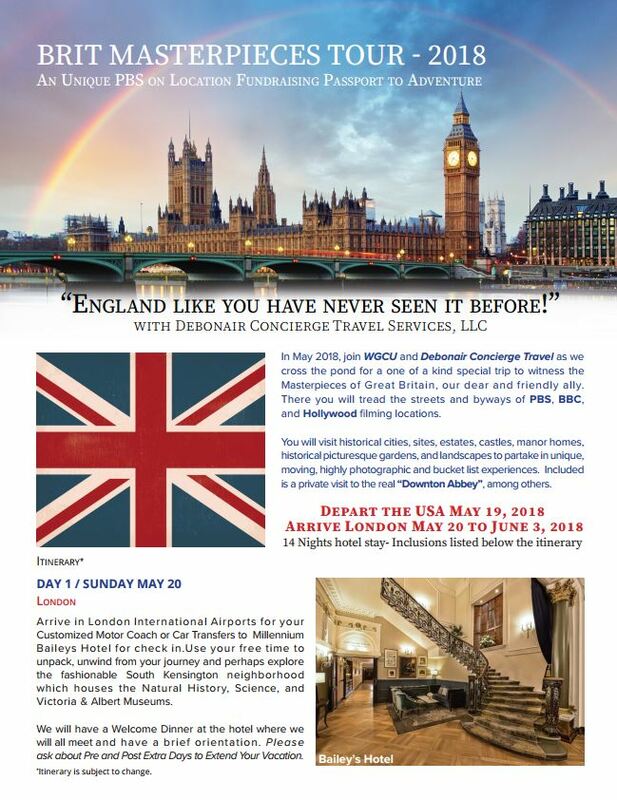 We hope you can join us in England! DAY 1 TOUR HIGHLIGHTS: Millennium Baileys Hotel, South Kensington, Natural History and Science Museum, Victoria and Albert Museum. DAY 2 TOUR HIGHLIGHTS: London, Downton Abbey, The Crown, Victoria, Sherlock Holmes, Buckingham Palace, Horse Guard’s Parade, Belgravia Square, Westminster Abbey, Baker Street, Southwark Cathedral, Churchill War Rooms. DAY 4 TOUR HIGHLIGHTS: Windsor Castle, Victoria, The Crown, English pub, Hatfield House, Queen Elizabeth I, Taboo, Wonder Woman, Sherlock Holms, Anna Karenina, Agatha Christie’s Poirot, Band of Brothers. DAY 6 TOUR HIGHLIGHTS: Highclere Castle, Grantham, Crawley, Yew Tree Farm, Dog and Duck Pub. 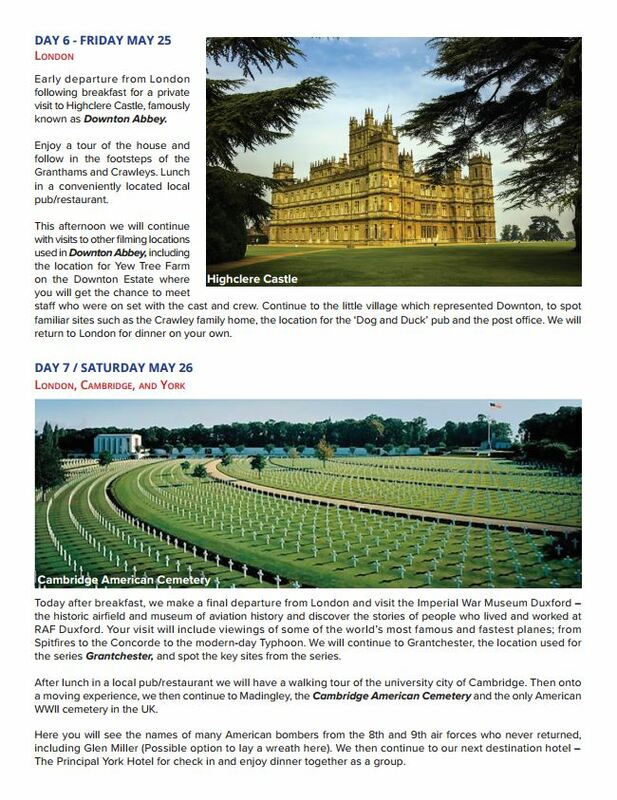 DAY 7 TOUR HIGHLIGHTS: Cambridge, York, Imperial War Museum Duxford, RAF Duxford, aviation museum, Grantchester, Madingley, Cambridge American Cemetery, The Principal York Hotel. DAY 8 TOUR HIGHLIGHTS: The Bronte sisters, parsonage, Haworth, St. Michael and All Angels Church, York Minster Cathedral. DAY 9 TOUR HIGHLIGHTS: North Yorkshire, Castle Howard, North Yorkshire Moors Railroad, Pickering Station, Goathland, Hogsmeade Station, Harry Potter. DAY 10 TOUR HIGHLIGHTS: Harewood House, Cotswolds, Bath, Royal Crescent Hotel. 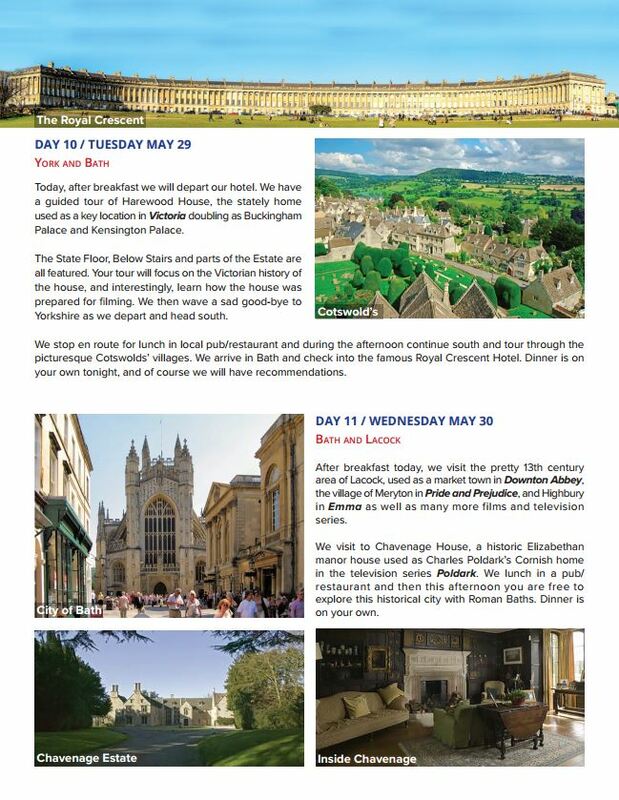 DAY 11 TOUR HIGHLIGHTS: Lacock, Meryton, Pride and Prejudice, Highbury, Emma, Chavenage House, Elizabethan, Poldark, Roman Baths. DAY 12 TOUR HIGHLIGHTS: Bath, Cornwall, Doc Martin, Portwenn, Rick Stein’s restaurant, fish and chips, Ross Poldark, Truro, Lost Gardens of Heligan, The Greenbank Hotel, Falmouth Harbor. DAY 13 TOUR HIGHLIGHTS: St. Michael’s Mount, Nampara Cove, Cornish Mines. 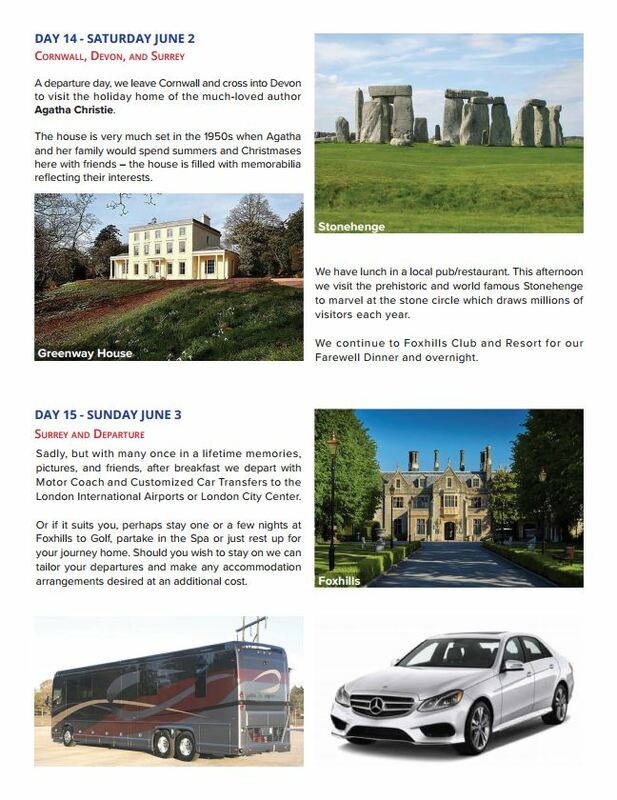 DAY 14 TOUR HIGHLIGHTS: Devon, Agatha Christie, Stonehenge, Foxhills Club and Resort.